I’m sorry I’ve been silent so long; the past couple of months have been especially busy for me I’ll try catch up here by taking on several small topics at once. After dance class last Friday night Greg had a hankering for ice cream, so he and his wife, Wendy, and I sat on plastic chairs outside Baskin-Robbins licking our cones, gazing at Albany’s ugliest intersection—treeless parking lots on all corners, backed by buildings that look like giant shoe boxes—and pondering why we don’t make our own ice cream more often. Ice cream is for birthdays, I said, and it’s always after I’ve made the cake and cooked the dinner that I realize I’ve failed to search out cream, and I must have the real thing, which is darn hard to find in our area if you don’t keep your own cow. But sorbet is better than ice cream, anyway, Wendy reminded me, and where was that raspberry sorbet recipe I’d promised her three years ago? It’s simple, I said—raspberry purée and sugar, that’s all you need. Like me, Wendy and Greg always have raspberries in the freezers. Yes, that’s plural, freezers. I have so much fruit in my freezers that there is little room for anything else. Then I had an idea: What if we made up a sorbet mix in advance, and stored it on a pantry shelf? Probably we would all eat sorbet more often, and stay away from this ugly intersection. Press the fresh berries through the fine screen of a food mill. Combine the berry purée, the lemon juice (if you’re using it), and the sugar in a large pot, and stir. Over medium heat, bring the mixture to a boil, stirring occasionally. Boil the mixture gently for 1 minute—no longer, or you may turn it into jam. Pour the purée into two quart jars, leaving ¼ inch headspace. If you come up a bit short, top off the jars with boiling water. Then add lids and rings. Process the jars fin a boiling-water bath for 15 minutes. A day before freezing your sorbet, put one of the jars into the fridge to chill. Freeze the sorbet according to the directions that came with your device. Jarden, the company that owns Ball and Kerr, has informed Oregon State University Extension that it’s no longer necessary to soak Ball and Kerr mason-jar lids in hot water before using them. Instead, just wash each lid before placing it on a jar and screwing on the ring. September 1 is the coming-out party for the second edition of Liz Crain’s foodie handbook, Food Lover’s Guide to Portland. A helpful guide for Portland residents, Liz’s book is an essential resource for those of us who visit the city only occasionally and so struggle to keep up with all the changes in the local food biz. Liz lists the many farmers’ markets and CSAs (“community-supported agriculture”—i.e., subscription food boxes), tells where the food carts congregate, and covers ethnic groceries (from Caribbean to Korean to Russian), cured-meat and halal meat markets, bakeries, cooking schools, breweries, wine shops, fish shops, and chocolate shops (13 of them!). 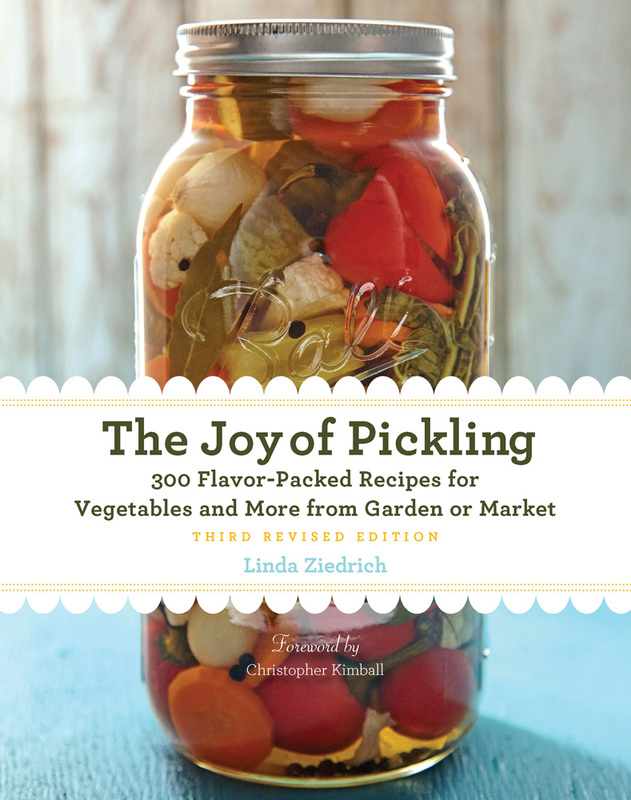 She also describes stores that sell supplies for cooking and preserving, such as Mirador, where I send people for pickling crocks and the like. 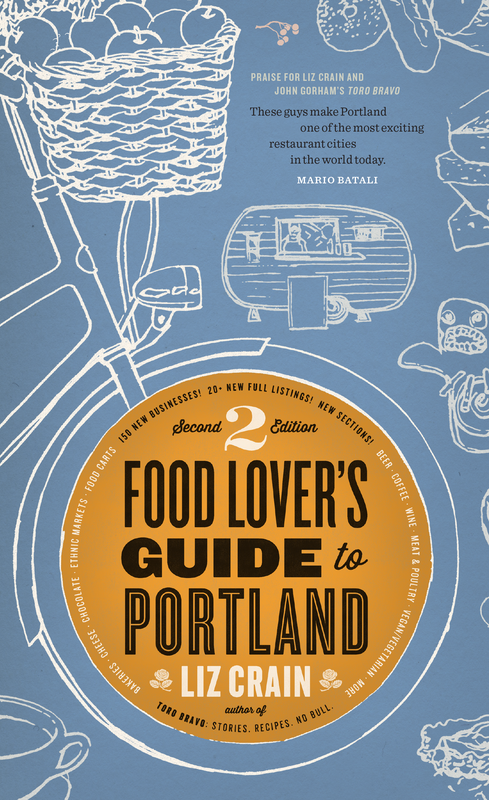 Food Lover’s Guide to Portland, 2nd edition, is available for pre-order from Powell’s Books and from Amazon. While minding the local public library one Saturday afternoon, I read a book on dealing with deer. I’d already tried some of the author’s ideas; for example, I regular spray rotten egg around the garden. (Beat four eggs, add a quart of water, cover tightly with cloth, and let ferment for several days in a warm place far from the house.) But I’m reluctant to spray this stuff on vegetables and fruits that people will be eating soon. I was looking for new ideas. I puzzled over the suggestion to pin “dryer sheets” around the garden. Dryer sheets? Then I remembered: Dryer sheets are the little squares of nonwoven petroleum-based fabric (interfacing, we called it, in the days when girls and women sewed all their own clothes) that are treated with fabric softener and chemical perfume and sold in the cleaning aisles of supermarkets. Labeled according to scent–“ocean breeze,” “forest glen,” etc.—they burn my eyes and nose and smell uniformly sickening to me. God only knows what they do to the produce in the adjacent aisle. But my thoughts were only about Bambi, who was already making nightly raids on my tomato patch, picking fruits that weren’t even full grown yet, much less ripe, and taking one smile-shaped bite out of each. I went to a supermarket and sniffed up and down and shelves of dryer sheets—coughing, eyes watering—until I found the stinkiest packet. No wonder I couldn’t walk down the cleaning aisle of a supermarket without holding my nose, I thought when I got home. The dryer sheets were enclosed in a thin cardboard box and nothing more, no plastic bag or plastic lining. This is legal, in a food store? And now I would use these toxin-laden squares to pollute the air in my own vegetable garden? Yes, I was that desperate. I put one clothespin on my nose and used all the rest from the clothesline to pin the dryer sheets to bamboo tomato teepees and bamboo poles set along the bean rows. And the dryer sheets did the job, in part. The tomato raids stopped, for several days. But meanwhile Bambi devoured all the bean plants not directly under dryer sheets. I recalled the mystifying rows of little white flags, about a foot tall and a foot apart, that I’d seen in a neighbor’s garden. My neighbor was ahead of me: Those little white flags were protecting rows of bush beans. I bought more dryer sheets—a different brand, with a supposedly different but apparently identical scent, and again packed loose in a thin cardboard box—and planted rows of little white flags, hoping that they wouldn’t give Bambi the wrong idea. I was not giving up! Placed low and close, the dryer sheets kept the deer off the beans, but in the meantime Bambi was biting smiles into the tomatoes again. I sniffed a dryer sheet from the first packet. The smell was gone. As strong as they had stunk at first, the chemicals had lost their sting. Now, should I replace the old dryer sheets with new ones? Would I have to do this once a week? What a sad waste that would be. Besides, I have a big batch of rotten egg in the barn, smelling up the entire building. What if I dip the dry sheets in the egg and then pin them on the bamboo? So that’s my next garden chore. Again, I’ll reserve one clothespin for my nose. After discovering green garbanzo beans at a supermarket in Salem, I had to try growing my own. A friend had given me some seeds of Hannan Popbean, a brown- to black-seeded chickpea selected by Carol Deppe, a Corvallis plant breeder. Carol calls this bean a popbean not because the pods make a popping noise as you press them open—all chickpeas do this, apparently—but because she pops the dried seeds like corn, by parching them in a hot, dry pan until they swell and break open. Although Carol grows her popbeans in spring, without irrigation, I planted mine in late May, along with soybeans, runner beans, long beans, and regular bush beans (Phaseolus vulgaris). A couple of weeks after the initial planting I had to fill big gaps in the other bean rows, but to my surprise every one of the garbanzos germinated. I was surprised again by the foliage, which looks much like vetch and nothing like other bean leaves. The third surprise from my chickpea row was the best one: Deer don’t eat these plants. I learned why they don’t when I ate my first green garbanzo, just two months after planting, and tasted something sharply sour on my fingers. I touched my tongue to a bean pod and understood: The plant defends itself from grazing by seasoning its pods and foliage with malic and oxalic acids. Brilliant! So, forget my fears about all the special requirements for growing chickpeas. I don’t have a long growing season. I don’t have sandy soil. I didn’t add nitrogen-fixing bacteria to the soil. But I didn’t need any of these things. Garbanzos seem to be an excellent crop for my garden. They are certainly easier to grow than edamame. 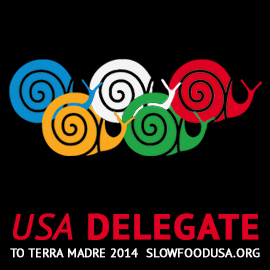 I’m happy to announce that Slow Food USA has chosen me as a delegate at Terra Madre, the biennial international food fair and Slow Food conference in Torino, Italy. If any readers of this blog will be at Terra Madre or in or near Torino for any other reason in late October, I would love to meet you. 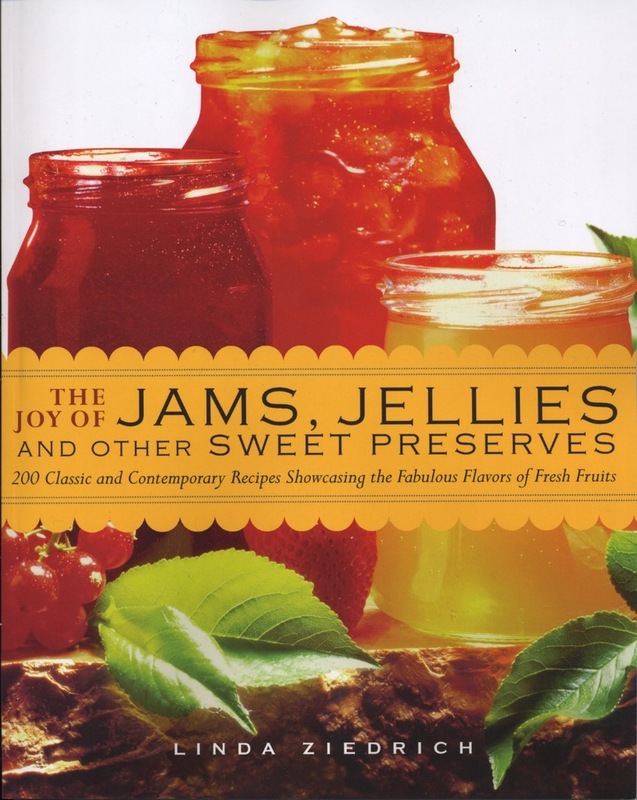 This entry was posted in Books and blogs, Fruits, Preserving science, Sweet preserves, Travel, Vegetables and tagged blackberries, Carol Deppe, chickpeas, deer repellent, dryer sheets, Food Lover's Guide to Portland, garbanzos, Hannan Popbean, Jarden, Liz Crain, mason jar lids, raspberries, Slow Food, sorbet, Terra Madre, Triple Crown. Bookmark the permalink. Shared your deer repellant tips with a friend who regularly sees deer and has lost several squash plants to them this year. I’ll have to get some of Carol Dieppe’s chickpeas. How many seeds do they have per pod? 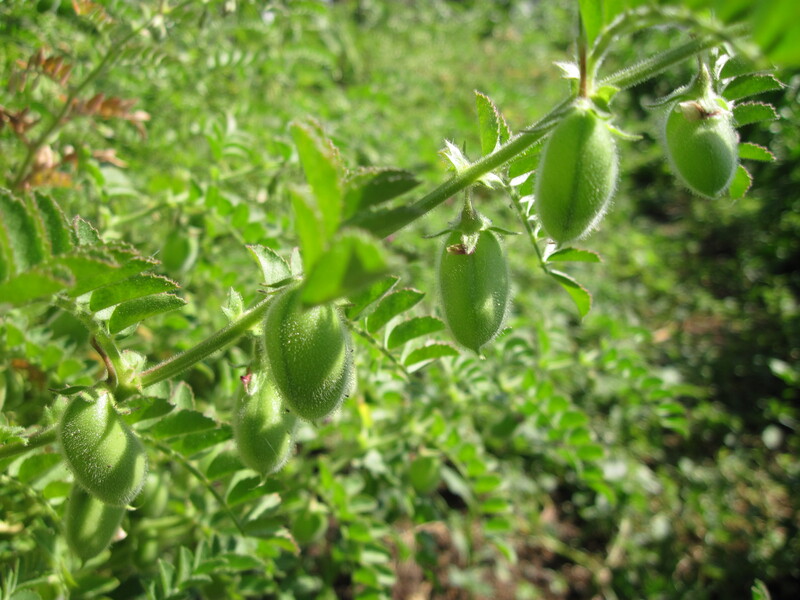 I grew kabuli chickpeas 2 years ago. They were as easy to grow as you describe, but I only got 2 seeds per pod which meant that I had to save a large percentage of my harvest to replant or spend a fortune for more seed since the only source I had found was expensive. Mary Ann, I’ll try to save you some seeds. (Other people, please don’t ask! I had only a few to begin with.) The pods I’ve opened so far have had only two seeds each. I hung out a couple of bright blue t-shirts with the dryer sheets pinned to them, and we’ve seen decreased deer browsing even after the dryer sheet scent disappears. Deer can’t see orange but the blue should be fairly eye-catching and we hung them so they should flap nicely in the wind. It seems to be helping so far! So, deer fear flapping cloth, Celia? Or only if it’s a color they can see? Can they see blue at night? My deer come only after dark. Well, I’ll preface this by saying that I improvised all of this – I’m kind of flying by the seat of my pants here. But lots of things I’ve read say that deer get used to anything they see in the same place over time. They’re also red-green colorblind, but should be able to see blue. So I reasoned that a stationary bright blue item might catch their eye, but they’d get used to it. A bright blue item that makes unpredictable movements might work better. They must have a reasonable amount of night vision since they are so active after dark, which is the same time as my deer usually come. I kind of figured it made sense and I’ve got nothing to lose by trying. It did coincide with a decrease in deer damage, but who knows whether the shirt is any more effective than just the dryer sheets themselves. Or maybe I just got lucky! Thanks, Celia, for that clarification. I’m afraid that deer learn to tolerate even the smell of rotten eggs. The only sure solution, I guess, is a 12-foot fence. Linda, do you know if Jarden’s statement reflects new thinking on their part or a change to the manufacturing of the lids? Am wondering if I need to continue to soak the lids I already have on hand. Probably will, since it’s already part of my routine, and I’d rather be safe than sorry, but I am curious. Trish, see my reply to Sara. I haven’t heard that the sealing compound has changed. Thanks for the information on the lids. I had been hearing conflicting information and the instructions on the boxes have not (yet) changed. Do you know if their product changed or if they just realized heating the wax was unnecessary? Also glad you tried the garbanzos! Aren’t they the coolest plants? I didn’t grow any this year–ran out of room–but will try again next season. As far as I can tell, Sara, the sealing compound hasn’t changed for a long time. It’s not wax but some sort of plastic, and it hasn’t seemed to soften with heating. I’ve often put lids on cold. I don’t currently have deer problems (there are advantages to over-developed suburbia) but I was reading thru a stack of old (1980’s) Organic Gardening magazines last week and found this: A reader recommended draping your sweaty work clothes (before washing, natch) over trellises, cages etc – apparently deer don’t like that either, or anyway didn’t like his. At least it wouldn’t be supporting the chemical-dryer-sheet industry! I should steal my husband’s gym clothes for the deer! This would have a secondary benefit: The gym clothes wouldn’t be stinking up the bedroom. What a good idea! I kept the deer off my pole beans last year by using clothespins to clip white spun rowcover to the top of the fence – I only have a 5ft fence (but the land slopes off so it’s more like 7ft), any flapping cloth might do the trick but I figured white is good since it’s more visible in the dark. Old sheets would do. Besides the very top I also clipped them about halfway down – it still billowed but was less likely to blow off or have them sneak under. Yes, thanks, Sheila! Those instructions require a longer processing time, probably because little or no sugar is added, but I like that they allow the use of quart jars. I’ll change my instructions accordingly. The lids I have purchased this year have a “PBA-free” label on the box. So the sealing compound must be different. I have made puree and canned them to be used in sorbet – it’s a good way to save freezer space, but the srobet do not taste as fresh since the puree is cooked. However I have canned mine w/o sugar, mixing the sugar (or honey) only just before making the sorbet. I’ll have to try the sorbet mix! Sylvie, you mean “BPA-free,” don’t you? That would refer to the plastic coating on the underside of the lid, though perhaps BPA was also removed from the sealing compound. Please let me know whether the sorbet tastes better with the sugar added before rather than after canning. yes, of course, you are right, BPA-free. My lids from last year don’t have that label so it’s new and may explain the new directions. I will certainly report on the sorbet mix… although it won’t be for a while. Many thanks for all your wonderful posts Linda. Thanks for the comment, Sheila. I find that when I don’t soak the lids I need to screw the rings on a little more firmly. Oh, and is Robert going with you to Italy? You *have* to get down to the Cinque Terre, it’s not that far south of Torino, and the best white wines anywhere! Take a sheet of tin foil, about 18″ long and tear it from the roll. Fold down one corner (about 2 inches) a few times to reinforce the thickness. Take a hole punch and punch a hole in that corner and then tie a piece of string/twine (about 16″-24″ long) through the hole. 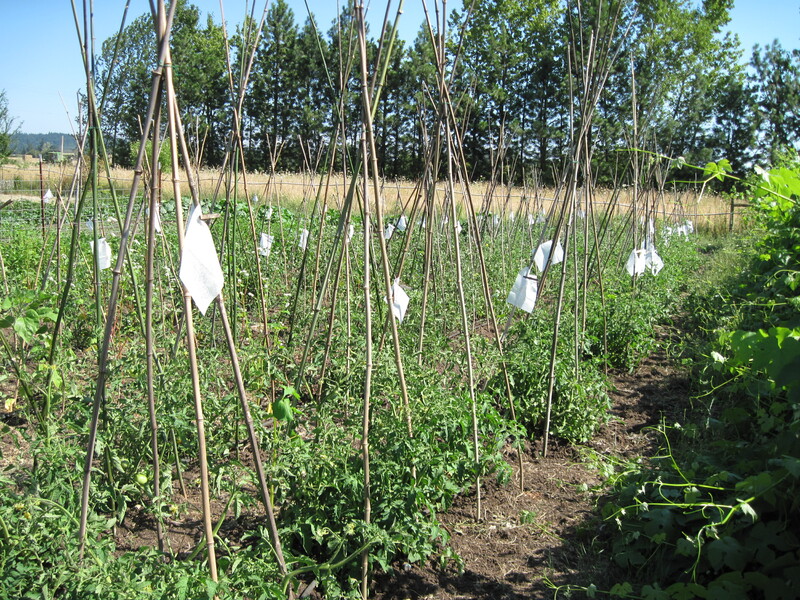 Hang your tin foil “flag” off your tomato cage/support by the other end of the string, high enough to catch the breeze and rustle. If your supports aren’t high enough to all the foil to catch the breeze, then tie them to their own posts. Make several of these flags and hang them throughout your garden. The occasional rustling of the tin foil is very creepy and even startles me! It sounds like someone is walking up on you from behind. I live on 4 acres in the middle of the woods in Virginia and we have deer EVERYWHERE! Also, Liquid Fence (which is organic) works like a gift from the angels. I had hostas for the very first time last year!